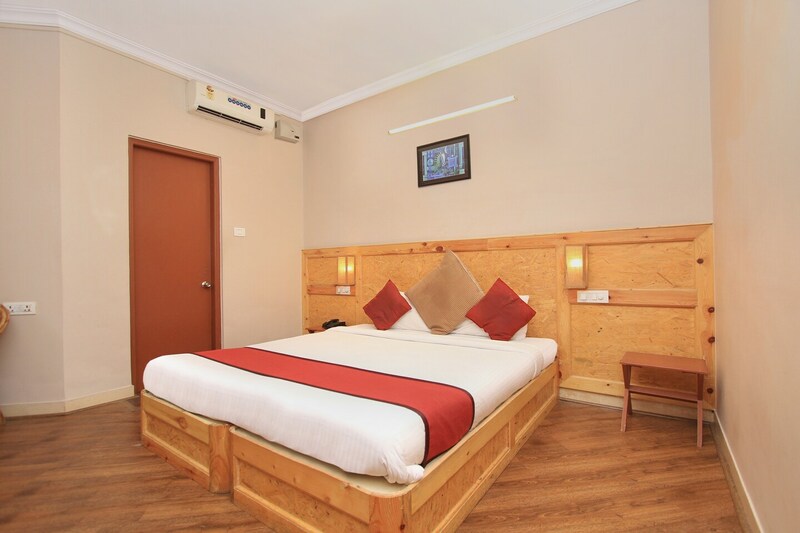 A pleasant place located on one of the famous roads in Bangalore with spacious looking rooms. Silverkey Bannerghatta Road is a charming hotel with a simple pastel colored external structure and a warmly decorated interior. The bedrooms at the hotel have a tasteful decor with light colored walls, light wood furnishings, and soft glowing overhead lights while some sections of the walls is painted a pastel color, lending the rooms with a soft and comfortable ambience. A kitchen and a dining area are available at the hotel for the guests to use during their stay. The hotel provides its guests with free Wi-Fi and power backup so that they can remain connected with the rest of the world. The hotel also offers its guests parking facility.